This quote from Xanadu pretty much sums up my feelings about the much lauded and highly successful British musical theater composer. But there's no denying he did write some pretty great songs. Especially when performed by local faves in this month's Musical Mondays at Hell's Kitchen. 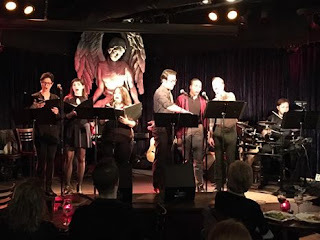 If you weren't there last night for this super fun, informal, and musically delicious monthly cabaret show featuring some of the top #TCTheater talent, here's what you missed. 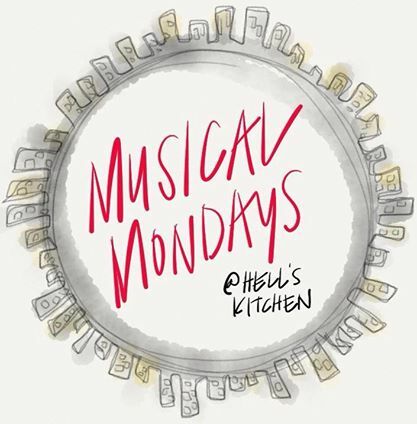 And be sure to mark your calendar for the next Musical Mondays on March 6, when the theme will be "the birds and the bees" (cast TBA on their Facebook page). If you're a super-fan of Andy Webbs (as we now call him, per Max), you've got three chances to see his work on tour at the Opheum next season. Me, I'll wait for the local production of Phantom starring Katie Strom and Aleks Knezevich (all of the theaters - take note!). In addition to all of the above, we were also treated to a preview of Whitney's upcoming birthday benefit cabaret (a song from the ridiculously talented Keith Hovis) and an excerpt from the lovely Flower Drum Song by that show's stars Stephanie Bertumen and Wesley Mouri. The ticket raffle this month was for Flower Drum Song at Park Square and the upcoming tour of Hedwig and the Angry Inch at the Ordway. At the end of the show Max expressed his surprise and gratitude that "this silly little thing" he and Sheena started four years ago has grown into this wonderful community event. I know exactly how he feels.